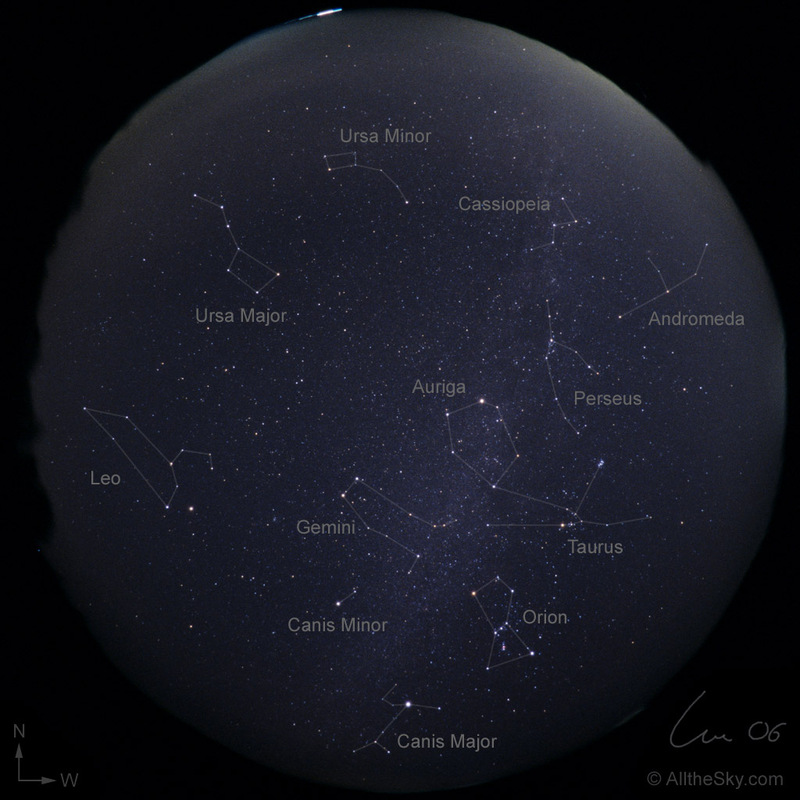 Most prominent in January are the constellations of the winter hexagon. It is build by bright stars of the constellations Orion, Canis Major, Gemini, Canis Minor, Auriga, and Taurus. The constellation of Leo is already rising in the eastern direction at midnight. The bright object right of the constellation Leo is planet Saturn in the year 2006.